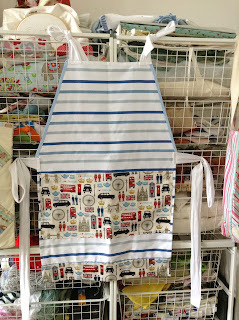 Legogirl's Cabin of Adventure........: Tea Towel Aprons. Over at Threadbias I have been taking part in a Swap. 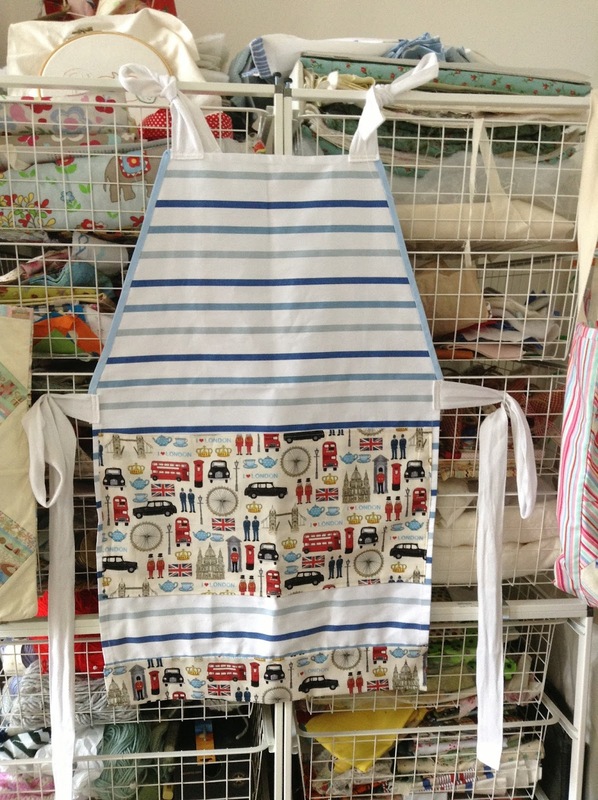 For April we decided that the swap would be aprons made from tea towels. 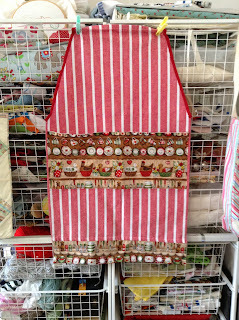 Once you cut the tea towel to the correct pattern, you could then add what you liked. Such as pockets, frills, button, pictures etc. Basically you could add anything!!!!!!! My swap partner was from Florida and I knew she loved my London fabric I used in the "I Spy" charm swap, so I made hers from this fabric. 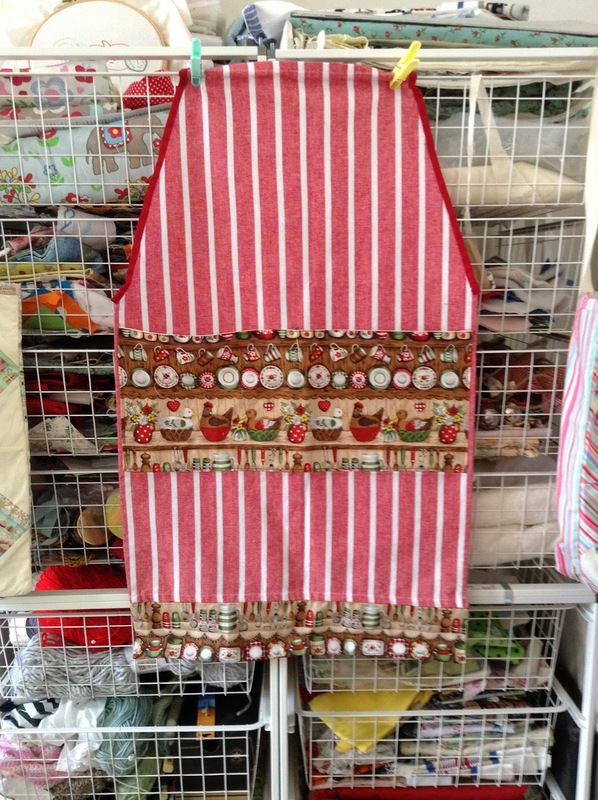 This was the second apron I made by machine,( my swap partner's one!) so I was a little bit worried about it. I chose a stripey blue tea towel and away I went. They are both hanging up on my drawers of fabric. Looking at these pictures I think I need to tidy them up a bit. I have many more swaps to tell you about, and project updates, so see you soon and thanks for stopping by. May's block for quilt around the world. Scrappy Quilt update with appliqued Teapot. April's quilt around the world block. Gifts to my Mystery Swap Partner.